What is a Surge Tank? Its Types, Definition, Functions, & Principles. In this article, you are going to learn that what is a surge tank its functions types, etc. in details. So, let’s move on without wasting much time. What is a Surge Tank? 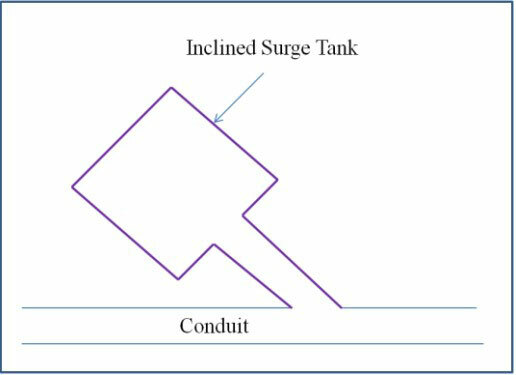 Principles and Functions of Surge Tank. Surge tanks are installed on large pipelines to relieve excess pressure caused by water hammer and to provide a supply of water to reduce negative pressure if a valve is suddenly opened. A simple surge tank is a vertical standpipe connected to a pipeline. The valve might represent turbine gates which may open or close rapidly with changes in load on the generators. 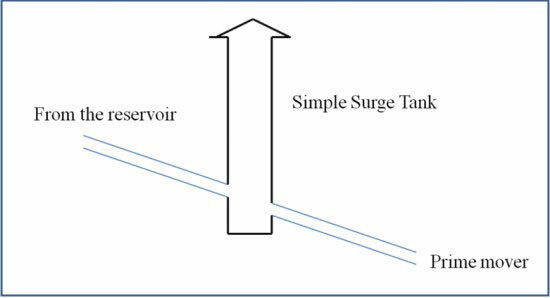 With steady flow in the pipe, the water level ‘Y1’, as shown in the below figure, in the surge tank is below the static level (y = 0). When the valve is suddenly closed, water rises in the surge tank. The water surface in the tank then fluctuates up and down until damped out by fluid friction. …and As is the cross-sectional area of the surge tank. Combining these two equations, integrating, and solving for V yields. which expresses the relation between velocity in the pipe and water-surface level in the tank over the interval from valve closure to the top of the first surge. Equation (3) may be used to estimate the maximum height of surge ymax by finding the constant of integration C for steady-state conditions at the instant of closure (y = y1) and then solving for ymax when V = 0. Since the derivation neglected tank friction and velocity head and entrance losses and assumed instantaneous valve closure with all water-hammer effects dissipated in the tank and not the pipe, the estimate of ymax will be too large. However, the results provide a conservative estimate for preliminary design of simple surge tanks. Read also: Earth Dam: Types of Earthen Dam and its Construction. Surge tanks are usually open at the top and of sufficient height so that they will not overflow. In some cases, overflow is permitted if the water can be disposed of without damage. The bottom of the surge tank must be far enough below reservoir level so that the tank contains water at all the times to prevent air from entering the pipe. Surge tanks reduce the pressures only in the pipe from the tank to the reservoir, and hence the tank should be as close to the turbine as possible. Watch the Video Below for better understanding. A surge tank is not economical on an extremely high-head line because of the great height of tank required. In such cases, a decrease in the delivery of water to the turbine is best accomplished by use of defection nozzles or bypasses, which do not require an immediate decrease in flow through the pipe itself. Surge tanks are often built partially or wholly underground. An underground surge tank on the Appalachia project of the Tennessee Valley Authority (TVA) is 233 ft high with a riser 16 ft in diameter and a tank 66 ft in diameter. Exposed surge tanks are usually built of steel or reinforced concrete. Surge chambers for tunnels may be excavated in the rock above the tunnel if geologic conditions are favorable. In cold climates, a surge tank must be protected from freezing. Electric heating units have been used successfully for this purpose. Read Also: A Detailed Guide on Reciprocating, Rotary, Air Lift, & Jet Pump. 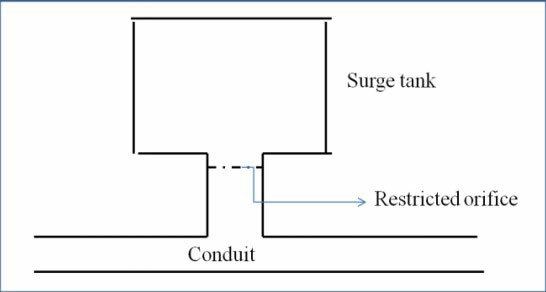 The simple surge tank is often adequate for low heads, but under high heads some modifications to improve the damping action and minimize cost are desirable. A restricted entry increases the damping action and reduces the initial surge. If the tank is closed at the top, the air cushion absorbs a portion of the water hammer and the tank need not be so high as a simple surge tank. Differential surge tanks have a vertical riser about the same diameter as the pipe. The flow of water into the main tank is limited by the capacity of openings in the riser or an opening around the base of the riser. Water levels fluctuate more rapidly in the riser than in the tank, with the result that the fluctuations are out of phase and the oscillations in the riser are damped out more quickly than in a simple surge tank. 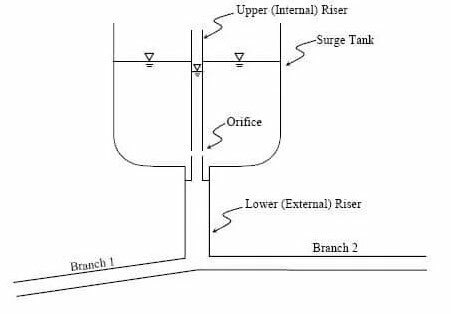 The diameter of the outer tank of a differential surge tank needs to be only about 70 percent as great as that of a simple surge tank to achieve the same effect. In this type of surge tanks, extra storage galleries are constructed in it. 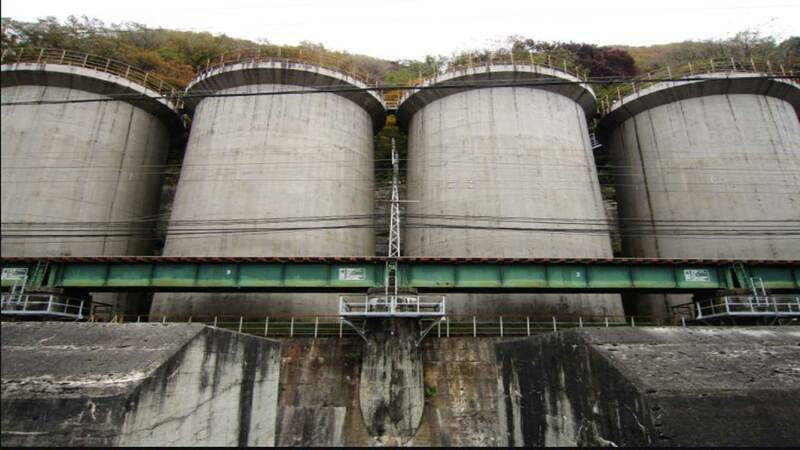 They are constructed above or below the surge tank level. 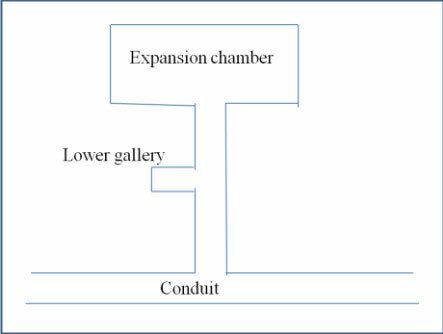 The above-constructed galleries are used to absorb the excess pressure. And the below-constructed galleries are used to store excess water and release it at the time of need. In this type, the surge tank is constructed with some inclination. It is done when there is a limit in the height of the tank. Thanks for reading. If you like this article then don’t forget to share it. What is Gravity Dam and its Construction? Pipe System Design – A Complete Guide.